More Colourpop stuff. Can't enough of these creamy shadows. I grabbed two of their new cream gel liners as well. I didn't get the pots as I don't see myself using them. Too lazy for gel liners. 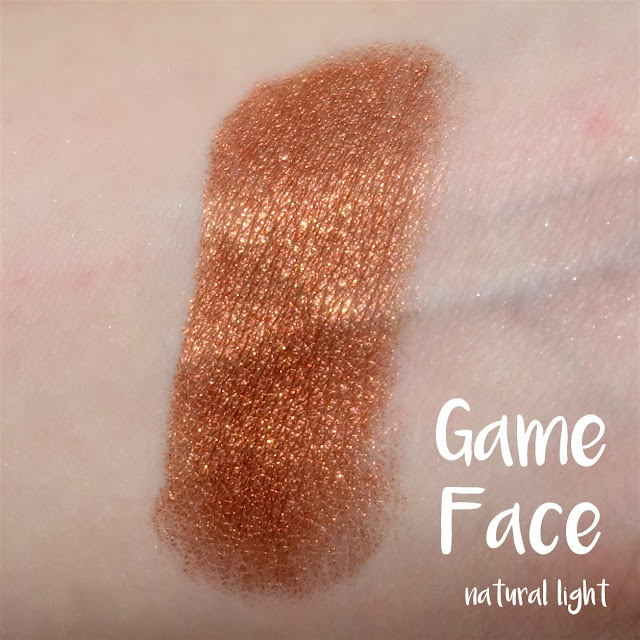 Before starting on the haul, I actually did a comparison of the 4 popular shadows from Colourpop - La la vs Sequin and Game Face vs Kathleenlights. Here are the shadows in sequence under normal room white lighting and flash. 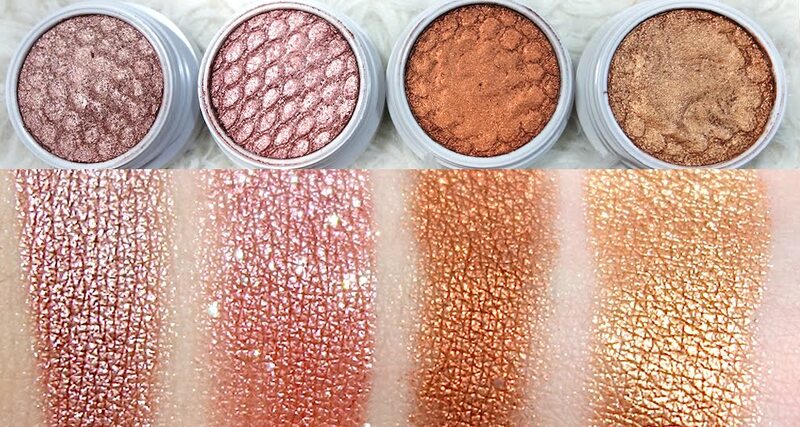 As you can tell, Sequin is more pink than La la (a slight bronzey undertone, still a gorgeous rose gold). I love the sliver sparkles in sequin. Can't wait to play around with this shade. La la has more of a sheen and suitable for everyday wear, whereas sequin's sparkly-ness is great for that pop of colour on special occasions - who am I kidding, I'll probably still wear Sequin on a daily basis. Game Face has a much more bronze and brown undertone than Kathleenlights (a straight up super shimmery gold). Despite both of them having different finishes (Ultra Metallic vs Pearlized), they still look quite similar in terms of texture. Here's a collective swatch of how it looks like in the packaging and the actual swatch. 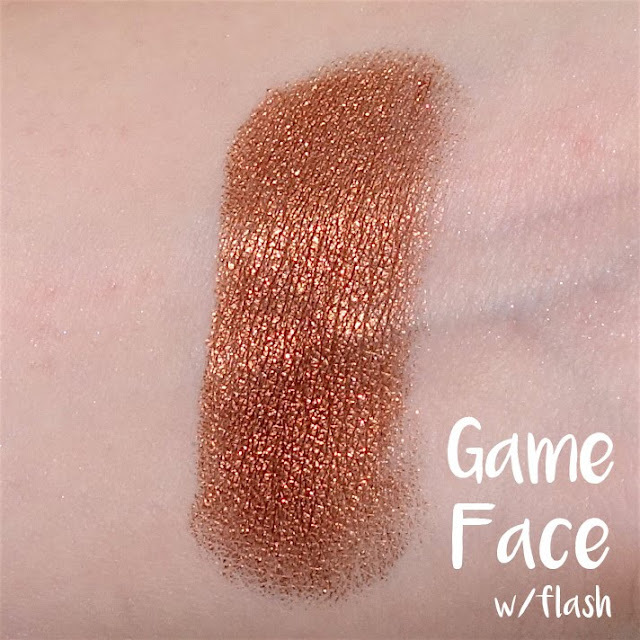 So in my recent haul, I got Game Face and Sequin shadows, as well as two blushes - Between the Sheets and Birthday Suit. Swatches under normal light and with flash. Let's to move on to the last two items - liners in Stomper and Swerve. They are those retractable type of liner. So convenient! And the texture is so so soooo creamy. Glides on like a dream. 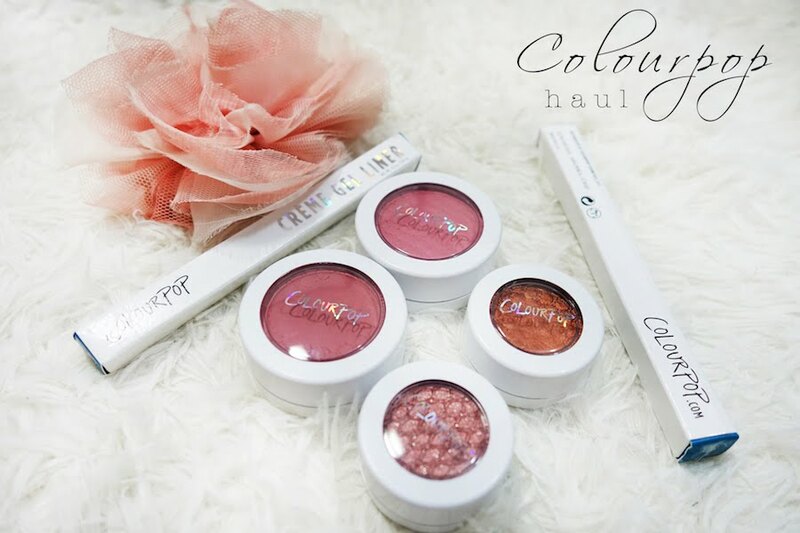 Colourpop really needs to start shipping to Singapore officially. They have a ton of colours but none really interest me aside from the more usable brown and black for everyday looks. I really like this shade of brown. Not too ashy, not too red. I will test out on their longevity soon. Will report back in my December favourites if I like it.